What is an Energy Shisha e-Cigarette? A quick stop over at Energy’s website gives off that marketing vibe for the cool hip people who need a little extra energy punch to get through a hard night of whatever the hell it is beautiful people do. 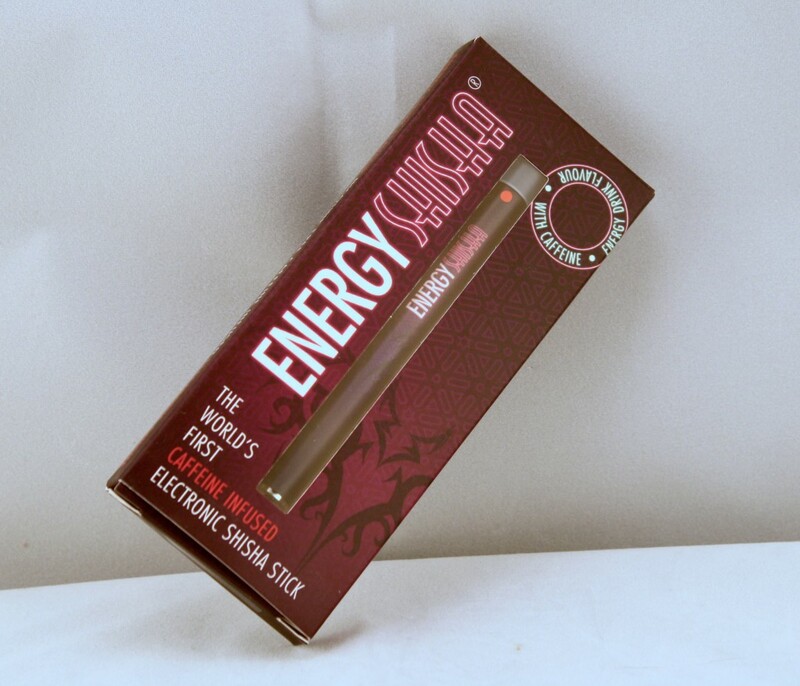 In more plain terms, it’s a disposable e-cigarette that substitutes the nicotine for a blend of caffeine and taurine. I’m a bit of an energy drink addict, so it seems like a good enough idea on the front. Then again, I’ve tried caffeinated e-liquid before and wasn’t terribly impressed. We’ll get to that part in a minute. First the superficial stuff. The Shisha disposable is not a terrible looking device as far as these things go. The model I got from the company is a solid purple design with the company’s logo boldly emblazoned along the side. There’s no section that’s supposed to look like a filter. I think they may be trying to shy away from the cigarette aspect with this product a little. That’s not really a bad thing. The LED light tip on this disposable also follows that theme. Rather than having the typical red light LED ash cap most disposable e-cigarettes sport, this one takes a different approach. It features a clear jewel-style tip illuminated by a white LED whenever the user takes a puff. On two levels the tip was a good move. First, you don’t have to worry about people freaking out over the thing looking like a cigarette. Second, the jewel thing does make the e-cigarette look a little more upmarket. Ok, great but how well does the Energy Shisha work? Since this is a zero nicotine product, you’d correctly assume there isn’t much of a throat hit behind the Shisha. There’s a little sense of throat hit, but nothing provides that like good ol’ fashioned nicotine. The Energy Shisha also seems to be lacking in the vapor production department as well. Most disposables are fairly under-powered devices to ensure the battery lasts long enough. Most of the time companies use an e-liquid solution that’s heavy on vegetable glycerin to produce more vapor to make up for the low power. That doesn’t seem to be the case here as its fairly stingy with the vapor. I found that I really enjoyed the flavor a great deal, so it has that going for it. It’s sort of a hard to pin down fruity sort of flavor that wasn’t too sweet or over-the-top. Now for the energy part of this device, which I’m sure you’re waiting for. So naturally I stuck it at the end of the review. I’ve heard before that vapor isn’t an ideal delivery system for caffeine. I also tend to have a pretty high tolerance for caffeine since I’m not sure whether I have more nicotine or caffeine coursing through my blood at any given time. Suffice it to say I didn’t feel like I got any sort of buzz out of this device. I did try an experiment where I vaped this thing in place of my morning Monster drink (somewhere between the first and fifth cup of coffee.) While I didn’t pass out from exhaustion or anything, so I guess it can’t be all that bad. How much of that is a placebo effect… well I guess I’ll leave that up to you to decide. 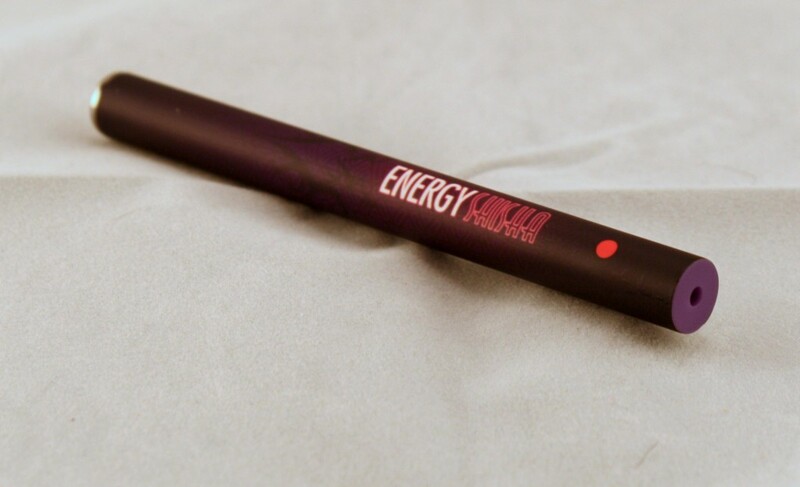 Energy Shisha are slick looking disposable e-cigarettes that opt to replace the nicotine with stuff you find in energy drinks. These purple e-cigarettes feature a white light and a jewel tip. Vapor production is a little anemic, and lacking nicotine, don’t expect miracles in the throat hit department. I think it might depend on the individual as to whether the energy properties work out for them. On the plus side I think they taste fantastic. 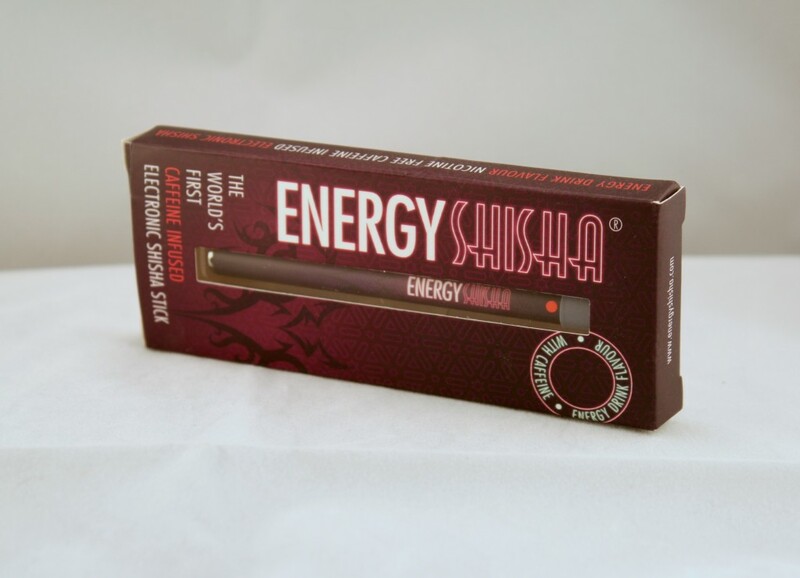 Visit the Energy Shisha site for more info.